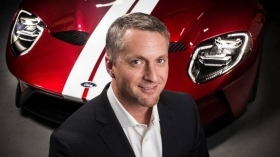 Ed Krenz might best be known as chief program engineer for the current Ford GT. Yet his other gig -- chief functional engineer, Ford Performance -- carries the mantle of car-geek celebrity engineers such as John Coletti, Jost Capito, Dave Pericak and Jamal Hameedi. Krenz was born near Washington, D.C., in 1972, and graduated from the University of Michigan and earned a master's degree in mechanical engineering at Purdue University. Through 24 years at Ford Motor Co., Krenz has done duty in just about every corner of the auto engineering business, including manufacturing, powertrain, control systems and vehicle integration. He has taken a lead role at Ford Performance, the group in charge of racing and performance development, as Ford shifts its focus from cars to light trucks and moves out of the sedan business in the United States. 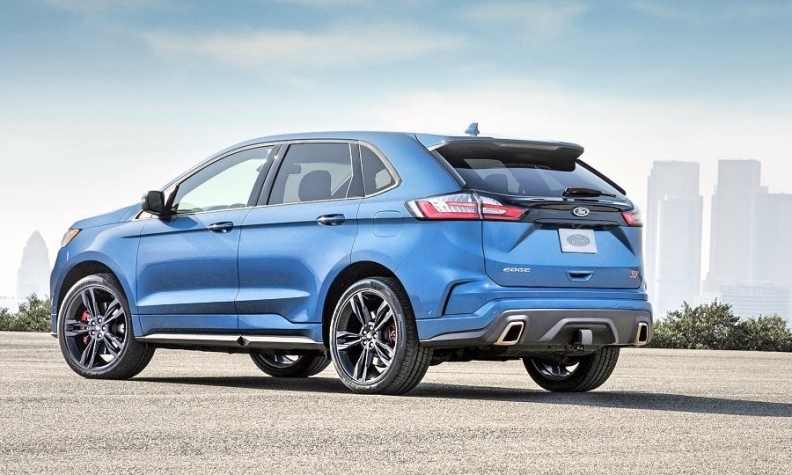 We sided up to Krenz at the launch of the 2019 Ford Edge to ask him about the Edge ST -- the first SUV tuned by Ford Performance -- and where the Performance brand goes from here. Krenz: Yeah, there was another level of anxiety, but also excitement, because we were doing something new. We know how to do Shelby Mustangs, and we’re very comfortable with it, pushing that technology to the next level. We've done a couple generations of Raptors, and we know what product success is on that end of the spectrum. There are always engineering challenges, but we feel equipped to handle them. We know what an Edge ST needs to be. The engineering challenge, of course, is taking those brands promises and the corresponding engineering expectations and moving them into a new cycle, in a package that isn’t like anything we’ve done before. It's certainly challenging, but we know the promise we need to keep and we love a new challenge. Then we have what we call a level one — your Shelbys, your RS. They have the same DNA principles I just outlined, but the targets are significantly more aggressive. The STs we might call level two — the brand DNA, but hopefully accessible to a larger customer base. You aren’t the first person to ask, "why wouldn't you use the MagnaRide from the Shelbys or the GKN twin-clutch all-wheel drive from the RS?" If we did we’d be positioning the Edge up toward level one, and that is certainly something you could see going forward, but for the Edge ST promise, and the mission, we think we have the appropriate content level. Krenz: Certainly we expect to bring the ST brand to a new customer with the Edge — a customer that maybe, for lifestyle reasons, couldn't consider a Focus or a Fiesta ST — and we certainly hope to build that loyalty with them. But to answer your question, no, we absolutely are not giving up on the (Fiesta and Focus ST owners). I met with the big influencers from the ST clubs and websites, and I heard the same question. But I also heard “I’m married now, and have a kid, and this vehicle makes perfect sense.” And to those who weren’t in a situation to make that step, I tried to re-affirm the Ford Performance commitment to fast, fun, affordable vehicles. And I encouraged them to give the Edge ST a chance, because it’s all there. It isn't meant to be a compromise on performance. It's meant to reduce the compromise on the functionality. So absolutely, there could be an EcoSport ST. I'll take it a step further in terms of what could be. Why wouldn't we do a level-one performance SUV, something that really just gets out there and absolutely kills it? It's a logical, strategic discussion to have, and it's an engineering challenge, of course, to provide that GT350-level track capability in an SUV. But that's what excites us.